This house in New Bern, along with the vast majority of the houses along the Carolina coastline, was originally constructed on driven timber pilings. “The challenge with these houses is how best to lift the structure while simultaneously installing a new deep foundation to transfer the loads for support. We knew for sometime that helical piles would be the deep foundation of choice, but the two challenges that remained were 1) how to connect the helical piles to the timber piles, and 2) what is the best hydraulic lifting system to use,” Sykes commented. 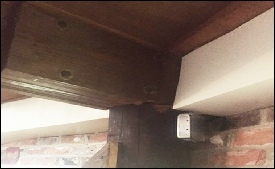 Sykes began working with the engineers at Ram Jack corporate headquarters to come up with a bracket design that would enable the helical piles to be permanently connected to the timber piles - either round or square ones. “Our team came up with just the right design for what we needed, and we named it the Sandy Bracket. 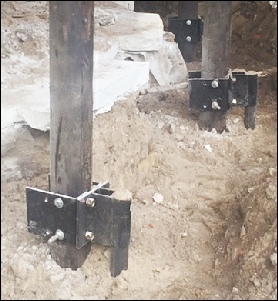 This unique bracket makes it easy for our crews to attach our installed helical piles to the timber piles,” Sykes added. 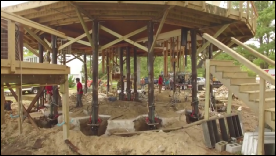 This house in New Bern required (19) 2.875” round shaft helical piles with a single 10” helix bearing plate, and the piles were installed to an average depth of 35 ft. for embedment into shell rock. The load requirement was 30 kips. 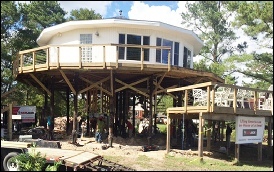 The helical piles and all the connections to the timber piles were installed in 1.5 days, and the next step was setting up the hydraulic system to lift the house. Part of Rick Sykes’ plan for lifting these coastal structures was to use house moving professionals to do the actual lifting using the helical piles as the resistance. 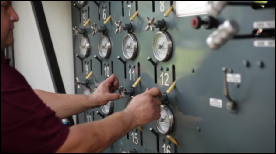 “House lifters have very powerful and sophisticated unified hydraulic lifting systems, and these systems make the process so quick and easy, the overall cost to the homeowner can be very affordable. The house in New Bern was lifted 6 feet 8 inches in a matter of a couple of hours once the prep work was completed. So the entire project took just a little less than four days to complete, Sykes added. 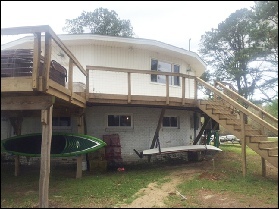 Over the last several years, Ram Jack Foundation Solutions owner, Rick Sykes, has been lifting houses in the North Carolina coastal region. Since Super Storm Sandy, FEMA has been redefining the Base Flood Elevation (BFE) codes for many of the states on the Atlantic coastline. 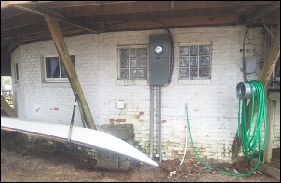 Realizing the number of homeowners that would need their houses raised, Rick and his team began experimenting with different helical pile, bracket and lifting techniques to come up with the most efficient and cost effective solution for homeowners. 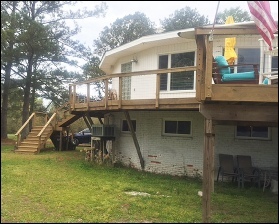 Rick’s company has lifted (15) houses in the last several years, and now he feels they have come up with a technique that could become the standard for raising houses to meet the new BFE codes.